These soft-as-silk sheets are woven from rare, luxurious extra-long staple 100% Organic Supima cotton grown exclusively in the United States. Colors are made with locally sourced, certified organic dyes. Wash first for proper fit, then slip into a naturally blissful slumber. The staple length of Supima is 35% longer than regular cottons, 45% stronger than regular cottons, and absorbs and retains color better than regular cottons. This means that Supima products retain their brilliance over many years of use. 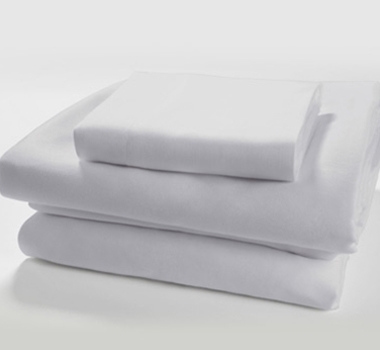 Available in white, golden wheat, stone blue, or arctic gray, your set includes a fitted sheet, flat sheet, and two pillow shams tucked into a reusable organic cotton pouch. King Flat Sheet: 108" x 106"